Clare had a busy old year in 2015. Not content with releasing two novels (This London Love, and the festive frolic, All I Want for Christmas), she continued to hosting her popular Lesbian Book Club over on the Lesbian Lounge, and appeared at LFest. 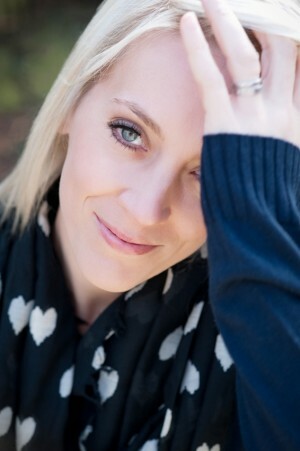 Keep up to date with Clare, here at her blog. – What was your favourite read of 2015 and why? I read quite a few books in 2015, but two stuck in my head. The first was G Benson’s All The Little Moments. It’s a debut novel about a family dealing with grief and it had me in floods of tears – I mean, *sobbing*. But as well as being a family drama that put me through the wringer, there was romance, no shortage of humour and two gorgeous little kids running around the novel too. The characters stayed with me and continue to pop into my head months after reading it. My second choice is a book written in 1969 but only read by me this year. It’s called Patience And Sarah by Isabel Miller and it’s the story of a love affair between two women in the 19th century and is loosely based on a true story. It’s poetic, sublime, romantic and made me want to crawl inside the pages and just lie there, soaking it up. I loved every delicious word and plan on reading it again soon. If you haven’t read it yet, do it! – What’s top of your reading wish list for next year? I’ve interviewed loads of fab authors on my Lesbian Book Club podcast and quite a few have new books coming out next year. I’m particularly looking forward to new novels from British authors Angela Peach and HP Munro – we’ve been waiting a while, but I’m sure it’ll be worth it! Also, Harper Bliss is planning on producing something every month, so she’s going to be interesting to keep an eye on – I really liked her At The Water’s Edge. It’s going to be a stellar year I’m sure! – What’s your favourite seasonal traditional or indulgence? I love Christmas and all its traditions. I love the invisible deadline whereby you have to see all your friends beforehand, so end up having dinner out for 20 days straight (it’s already started for me). I love autumnal weather. I never get bored of hearing Wham!, Mariah, The Pogues & Kirsty MacColl. I love The Holiday, Elf, The Muppets Christmas Carol. I love buying presents, sending cards, inhaling tins of Quality Street and glugging mulled wine. But most of all, I love the excitement and anticipation of Christmas. The build-up is pure, blissful magic. The Boxing Day hangover, though? Not so good. HP lives in Edinburgh with her wife and a wauzer named Boo. Her début novel Silver Wings was shortlisted for the Golden Crown Literary Society Historical Fiction award in 2014, her second novel Grace Falls was published in Feb 2014, swiftly followed in late May by novel number three, Stars Collide. It’s been a good year for reading, as most of my favourite authors all published this year (some of them twice!) but I’m going to go with one that I sort of stumbled across. The Red Files by Lee Winter, had everything that I wanted and more. Action, suspense, and political drama. Not to mention my absolute favourite plotline of a love story -two protagonists who start out from a point of dislike who are thrown together to unravel a bit of a mystery. In the interests of my own sanity I’d love to have a book out there next year, aside from that – non lesfic I’m impatiently waiting for Christopher Brookmyre’s new book in January and lesfic wise I’ll settle for all my favourite authors publishing again….twice! What’s your favourite seasonal traditional or indulgence? My favourite thing about Christmas is my wife’s face when I inevitably select the most humungous tree (last years was over 12ft) When we get it home I put on the festive music, crack open a bottle of bubbly and dress up in my Santa suit to decorate the house. Karen has just published her fourth novel The Strange Adventures of Mavis Street, and won the Ultimate Planet (New) Author of the Year Award in 2014. Karen is Scottish, grumpy in the morning, supports Arsenal and Rangers, and drinks lots of Irn Bru. She is partial to a tattie scone and square sausage when she goes home. She likes music to be played loudly and is not keen on spiders. At all. I don’t read lesfic, although I did read The Paying Guests by Sarah Waters, which was good once I got past the 200 page mark. I found it slow to begin but she writes beautifully so I didn’t mind. My favourite book I read this year was called All My Friends Are Superheroes by Andrew Kaufman. author in the whole wide world. I don’t have any. I am the only Scottish person I know who doesn’t get drunk at Hogmanay. I participate in Christmas for other people, I don’t care one way or the other. It’s nice to see my nephews happy but other than that, I think the message has been lost. We need to be kind and thoughtful all year. 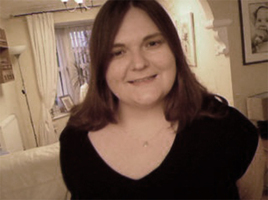 Jenny hails from the small town of Motherwell in Scotland, where she lives with her partner, Lou, and their well loved and very spoiled dog. She made her lesfic début in 2015 with A Royal Romance, and her second novel Heart of the Pack is due to be published in May, 2016. I’m way, way, behind on my 2015 reading list, but of the ones I’ve gotten through I enjoyed, Playing In Shadow by Lesley Davis, and Just Three Words by Melissa Brayden, and The Romance Vote by Ali Vali. Playing In Shadow I really enjoyed because it had lots of elements I really enjoy, including video games references and gothic rock. Just Three Words is a sweet book. So utterly romantic that it makes you swoon. The Romance Vote was really enjoyable to read. I knew next to nothing about the American political system, and I came away from the book with a little bit more of an insight into it. The second thing thing that made it so great was the deliciously handsome butch character, which you can always be sure to find in a Ali Vali book. What’s top of your reading wish list for next year? I’m hoping to catch up on my reading list over Christmas and the New Year, and first on the list is, Ready or Not by Melissa Brayden, and Radclyffe‘s Prescription For Love. Terry’s Chocolate Orange. Yum yum! Andrea is a Stockport native who now runs a campsite in Deepdale, and is planning a move to the Lake District in the not too distant. Somehow she finds time to write novels and scuba dive! Her second novel, Clean Slate, scooped the 2014 Lambda Literary award for best lesbian romance. 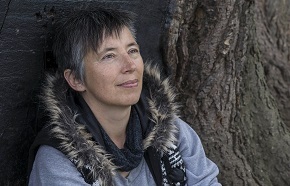 Her sixth novel, Collide-O-Scope is due to be published by Ylva in 2016. The Red Files, by Lee Winter. Funny, good mystery, great characters, and some pretty hot love scenes. Well worth a read. Top of my reading list for next year – hmmm, tricky. There are so many books on my “to read pile” right now. Building a house is not conducive to keeping up to date with new releases. But I’m really looking forward to Michelle Grubb‘s upcoming release The Fifth Gospel. I’ve really enjoyed Michelle’s previous two books, so I’m excited about this next one. Fave seasonal piece – I don’t really have a fab seasonal book. I like to spend time with my family and friends so I spend more time away from books at this time of year than any other. We do have a sort of tradition though. On Christmas Eve my partner and I watch Christmas movies…lots of them, but A Christmas Carol is always one of them. Used to be the old black and white one, but we’ve modernised. Patrick Stewart as Scrooge works best now. 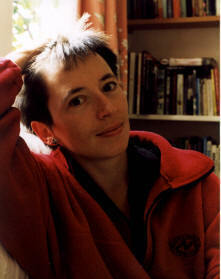 Manda Scott’s first novels were a series of critically acclaimed crime stories featuring lesbian detective Kellen Stewart, and her debut Hen’s Teeth was short-listed for the Orange Prize. 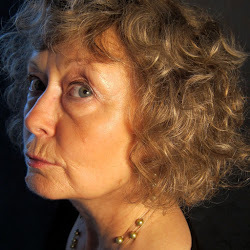 More recently she has been better known for her best-selling historical novels – the Boudica Series and then the Rome spy thrillers set in the same era. Into the Fire published in 2015 is a historical thriller linking arson attacks in modern-day France with the story of Joan of Arc. 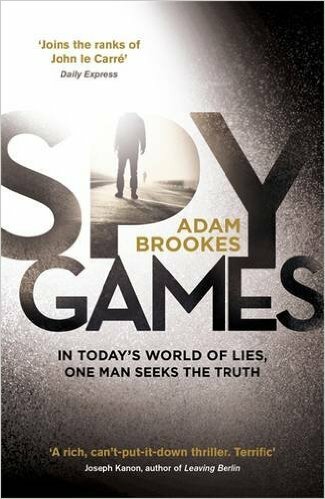 My favourite read is always the most recent – which is Spy Games by Adam Brookes. It’s not remotely lesbian, but it’s an exceedingly good spy thriller, one of the best I’ve ever read. This man really is the new Le Carré. Of the rest, Tuesday Falling was excellent (by S Williams) and I always love the work of Andrew Taylor: his most recent A Silent Boy is exceptional. Non-fiction would have to be This Changes Everything by Naomi Klein and in the light of the Paris climate talks, this has to be required reading for everyone, along with The Sixth Extinction by Elizabeth Kolbert. If you haven’t read both, they’re essential. Christmas indulgence… I give myself a week of reading between the solstice and the end of the month – which is sheer, unencumbered indulgence and gets me through the seasonal hostilities. I’m really, really looking forward to this. stands out for its quality, comedy and poignancy. 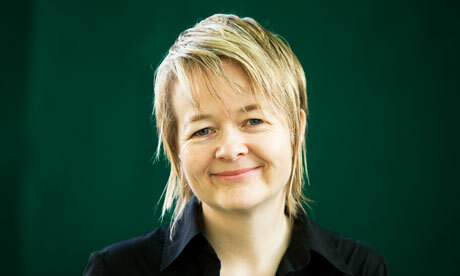 Sarah Waters described her most recent book, Always You Edina, as “A real treat of a novel”. As a judge of the Polari First Book Prize, VG samples a good selection of queer fiction and her recommendations are always worth heeding. 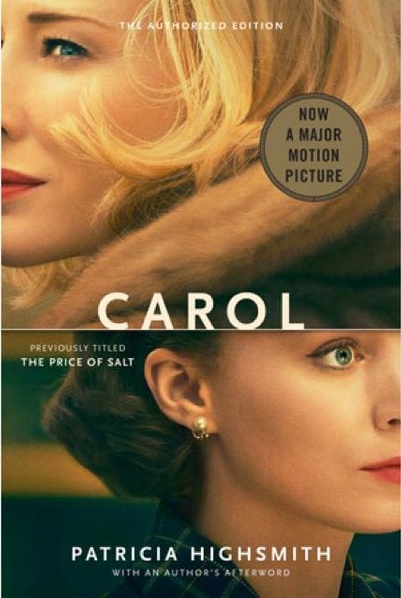 I re-read Carol by Patricia Highsmith as the film was due out. I’d feared that it might sound dated but quite the contrary. It’s a great, exquisitely written book – the characters aren’t particularly likeable but that seems very in keeping with much of the fiction today. Haven’t seen the film yet but the book would make a great Christmas present. – Which novel is top of your wish list for next year? 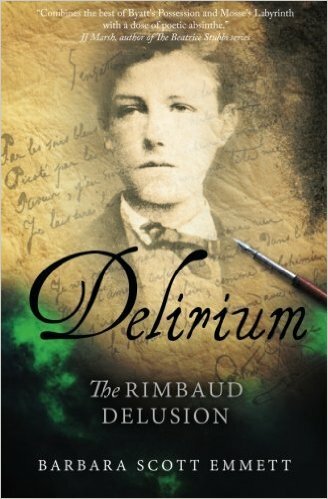 Delirium, the Rimbaud Delusion by Barbara Scott Emmett. Now I’m not sure if this is lesfic as I’ve only heard a short section from it when the author, Barbara Scott Emmett was chosen from the Polari Workshop in Newcastle to read at the evening event. It did sound as if there is at least a lesbian element in it. The piece the author chose to read out captured the entire audience and I’ve now ordered the novel on Amazon. I may have mentioned this before but I spend the whole of Boxing Day in bed with Christmas present books and cheese and pickled onion sandwiches for lunch and dinner. Pickled onions courtesy of author Rose Collis! After a year out screenplay writing, the original lesbian chicklit favourite came back this year with a scorcher of a novel. Too Late I Love You smashed the lesbian fiction charts and had a foray into the contemporary fiction charts too. Rumour has it that a glitzy novel is on its way for next year. Melissa Brayden‘s Just Three Words. It’s the second in the Soho Loft Series and focuses on Hunter and Sam, two friends, work colleagues and house mates who risk everything when desire takes hold. I loved the book because it portrayed a growing shift of feelings between friends. Come on, we’ve all been there – that friend who’s a friend, until they’re not. I have so many I need to catch up on, but top of the list is Getting Back by Cindy Rizzo. Cindy excels when writing strong and powerful women and I love the idea of a novel focused on the publishing industry and changes within it. Christmas is my favourite time of year. The tree is always up by December 1st, the house is swamped in festive lights and carols are played on repeat. As for indulgence it has to be tree chocolates. It’s the naughtiness of announcing to the children they cannot be pinched without permission… and the minute they’re in bed that’s exactly what I do. No one in the family knows I’ve replaced the whole batch three times already. A massive thank you to each of our participating authors – we hope they’ve given you plenty of ideas for stocking fillers! All that remains for Tig and I to do is wish everyone a very happy Christmas and a peaceful 2016. We’ll be back with more news, guest blogs, and features in January. News Roundup: awards, events, new books, freebies and more! It’s time for the last post of 2015! Apart from the next post that is, which is our fabulous best of 2015 lesfic as chosen by several wonderful UK lesfic authors. But apart from that, here’s the last post of the year! 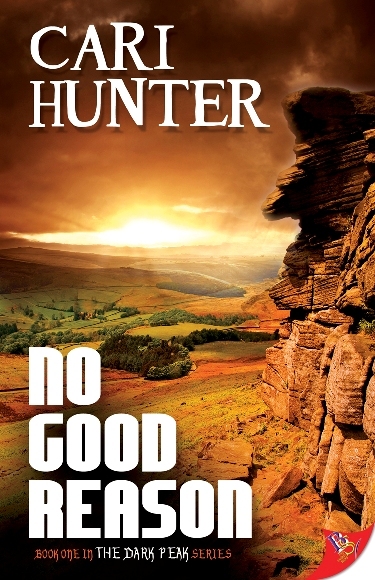 And firstly massive congratulations to that Cari Hunter whose No Good Reason has made off with the Rainbow Award for Best Lesbian Mystery/Thriller. The awards organiser Elisa Rolle was tickled to make out the award certificate: “Cari Hunter has been awarded… for No Good Reason”. But actually there were very good reasons and the book was judged to be “Brilliant” and “A fabulous mystery”. More details and fine words about the book here. 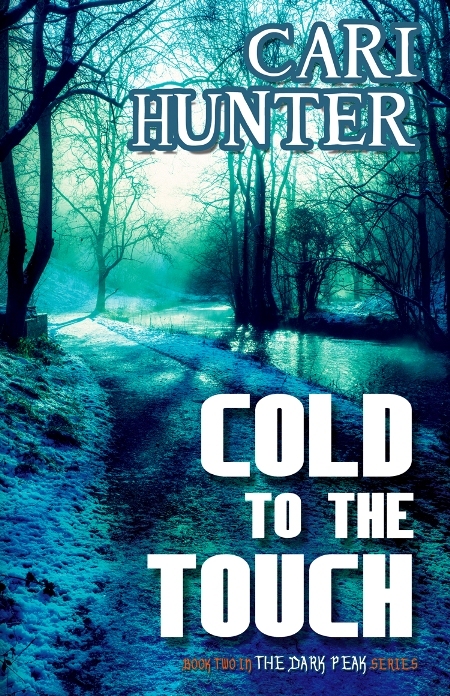 And if you’ve had the good sense to have read No Good Reason already, you are in luck because book two of The Dark Peak series, Cold to the Touch, is now available on Amazon. You can read the spoiler-free review here. 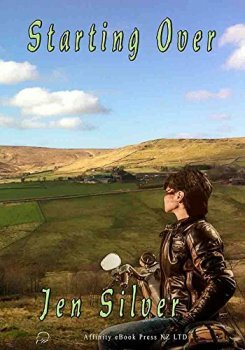 Congratulations also to Jody Klaire whose Blind Trust was runner up in the Rainbow Awards in the Best Lesbian Mystery/Thriller category. 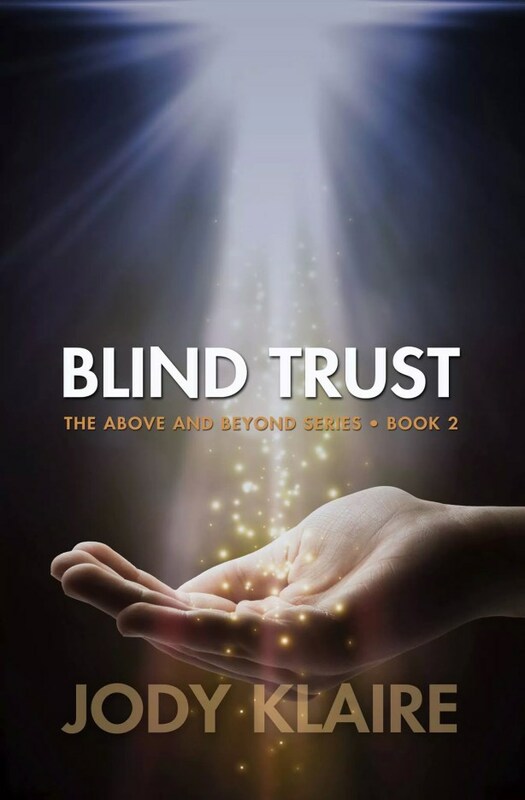 Jody is on Book Three of the Above and Beyond series and you can get a sneak peek at Untrained Eye on her website. 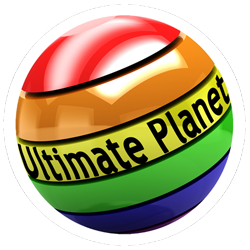 Speaking of awards, The Ultimate Planet Awards are now open for voting. The awards were created to recognise, thank and promote the work of grass-roots event organisers and community businesses who improve the lesbian, bi and queer scene. There are three categories related to lesfic: Independent Author with nominees Dawn Carter, Karen Campbell, Kiki Archer and Sally Edwards. Publishing House Author with LT Smith, Sarah Waters and VG Lee. And LBQ Book nominees Diary of a Broken Heart by Karen Campbell, Murder by Proxy by Dawn Carter, The Paying Guests by Sarah Waters and Too Late I Love You by Kiki Archer. Good luck to all the nominees and get voting here. 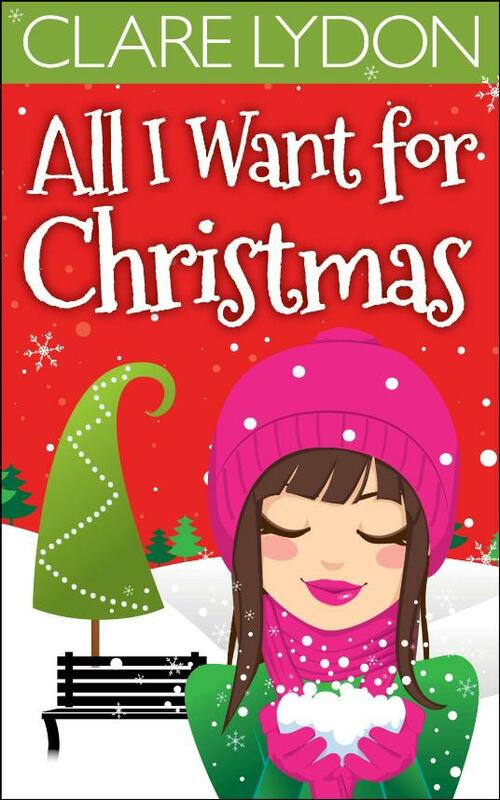 “All I Want For Christmas by Clare Lydon is a must-read Christmas novel. It will fill you with holiday cheer and make your heart sparkle with twinkly lights. You can read the full review here and if you fancy buying a signed copy for Christmas then scuttle over here before last post. A bit of blogging and chatting now. Meanwhile, Cari Hunter has been ruminating about why she writes what she writes. Why crime and why lesfic? And Jenny Frame, author of A Royal Romance, was interviewed over on Lynn Lawler’s site. Jenny talks about why she started writing, her background and her inspiration behind A Royal Romance. There’s also a sneak preview of her forthcoming book Heart of the Pack – A Wolfgang County Novel. 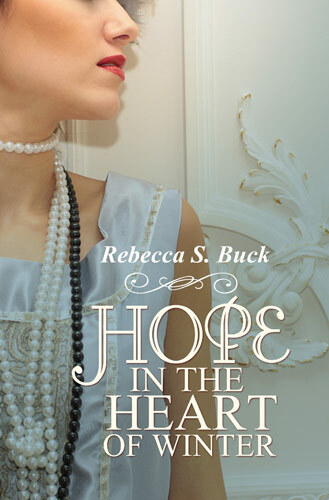 Rebecca Buck has a new short story set in the roaring twenties and, at the moment, it is free on the Bold Strokes Website! Here’s the blurb. In 1927, Evadne Burns invites her closest school friends to join her for a weekend reunion at her grand home, Winter Manor. The passing of time and the dark shadow of the First World War has shaped them all as women, yet their friendships remain strong. The tragedy of the era has only made them more determined to live their lives to the full. Evadne is delighted to see Clara and Courtney again, two women dedicated to each other since they were schoolgirls and still unable to keeps their hands off each other, even in view of Winter’s servants. There is the more conservative Madge, to remind them of the life they were expected to lead. But most of all, Evadne is pleased to see Edith Richardson, with whom she shared one precious night but left a lasting connection. 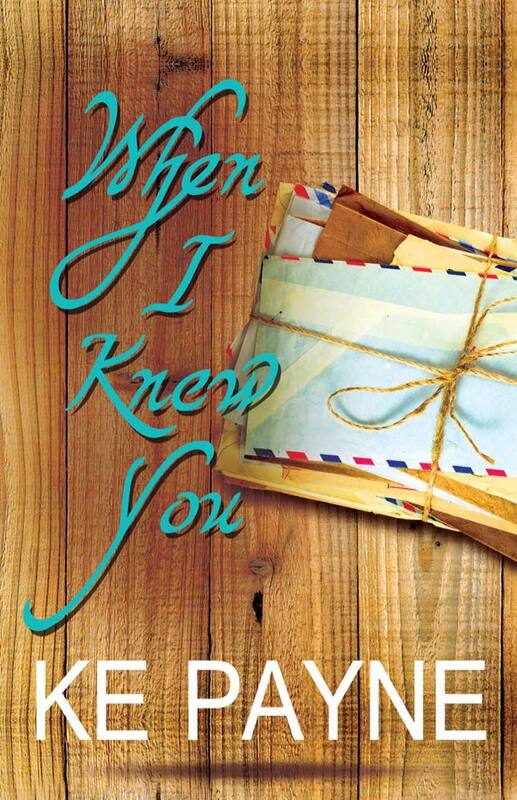 With Edith, she chooses to share a secret that will affect the rest of their lives, together or apart. Rebecca’s forthcoming novel, Fragile Wings, set in the same era is also available for pre-order on the site. And she also blogs about the Great War over on the Bold Strokes Author Blog site. When Ash Wells and Nat Braithwaite are thrown together after seventeen years apart, old resentments and passions are rekindled. The days of their heady teenage relationship are long gone – or are they? As they put aside their differences to honour the memory of a friend, Ash and Nat learn that sometimes, to build a future, you have to be willing to let go of the past. Ke will be with us in the new year to tell us about her latest book. A little way in the future yet but some early notice from VG Lee about a Gaia Women Tutored Writing Retreat next September in Scotland. The event runs from 5th to the 10th. 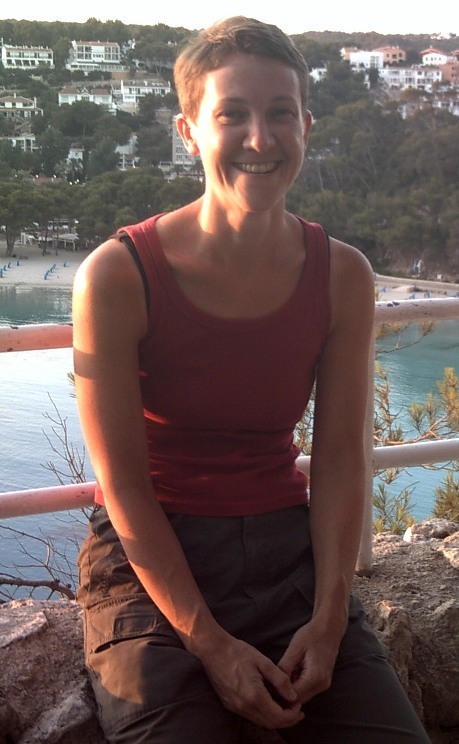 VG will be the resident tutor supplying advice and running the writing workshop covering the novel. There will also be a second tutor overseeing the short story section. For more information on the retreat see the Gaia Woman website. On to more best-selling authors and their favourite picks. Sarah Waters was recently interviewed at the Cinema Museum in London about her Desert Island Movies. Here’s her list. And while you’re on her website check out the details for the theatre adaptation of The Night Watch starting in May in Manchester. 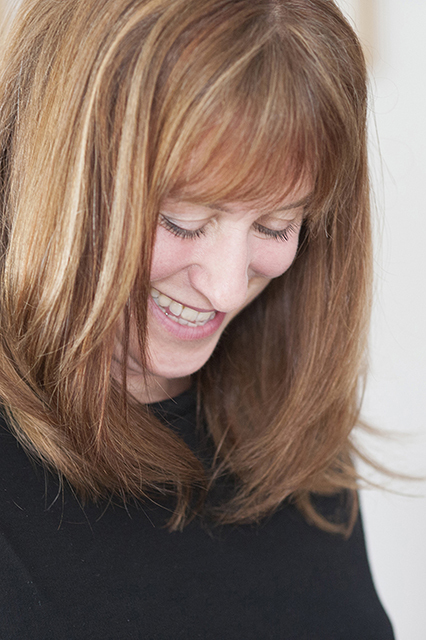 Manda Scott has been picking her favourite books of the year over on her website. She’s picked the best of her reads from fantasy to World War II fiction. 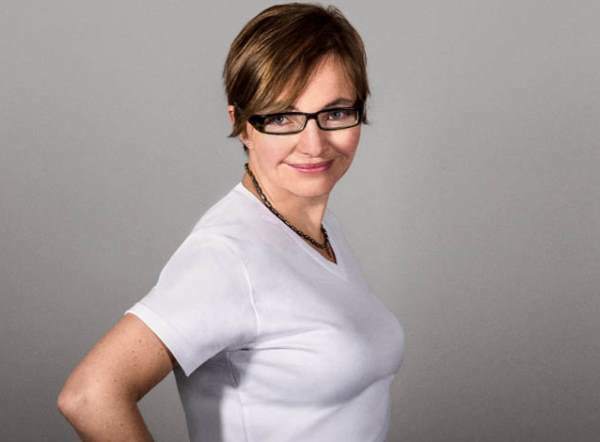 See the full list here and there’s more from Manda in our best-of-2015 Q&A! Finally the fabulous Women and Words are running their Hootenanny so nip over there every day for the chance to win in the massive lesfic giveaway!